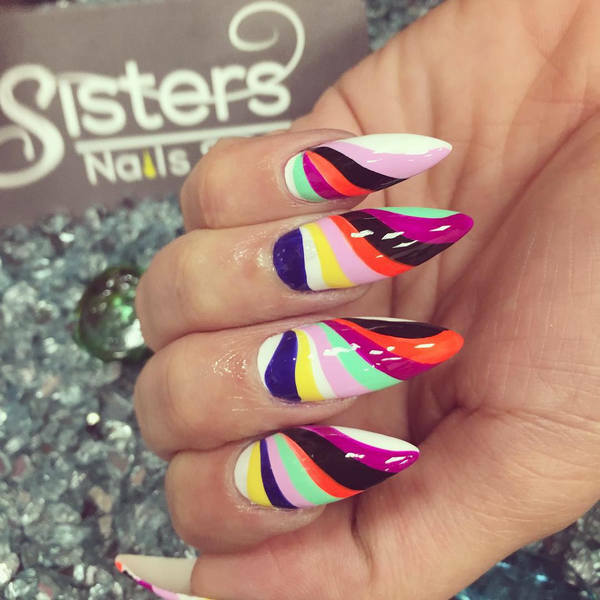 It is always fun to play with colors, if you have this great craze of nail art, then the latest nail art for summer is going to excite you. 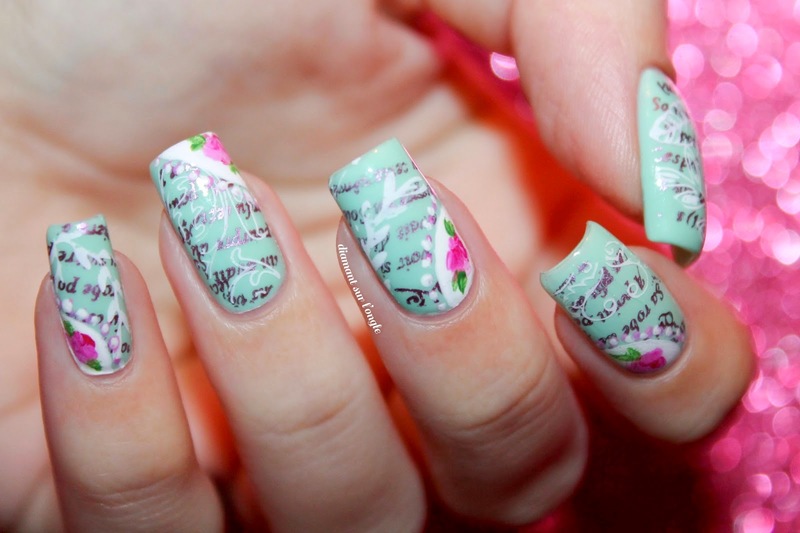 Nail art needs a great aesthetic sense and love for the art to get you a nice hand treat. Everybody loves to have amazing, cool and funky nail colors. With all the required tools and paints we can get ourselves an expert like nail art at home. So get ready ladies! 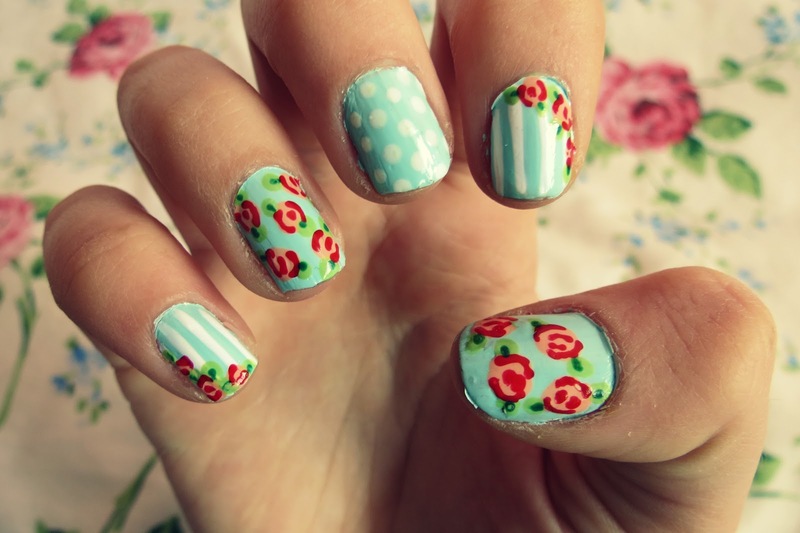 We are about to give you the best of possible nail art designs that you can try this summer. 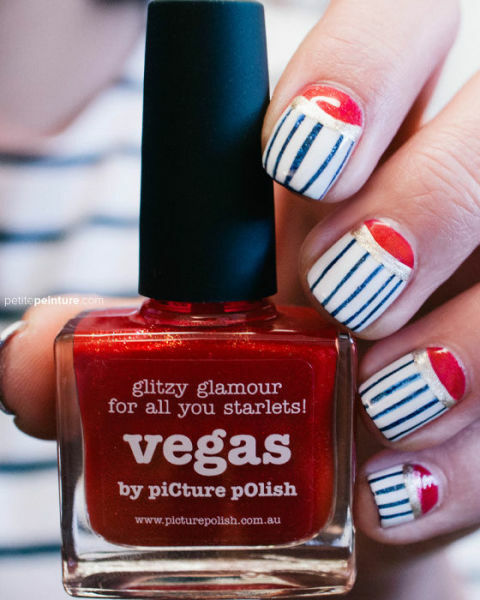 Today we will share the trendy & latest summer nail art designs and ideas with you ladies. 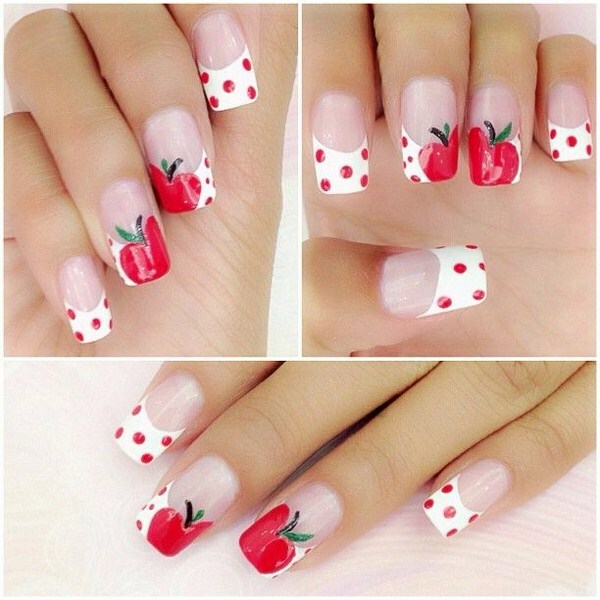 Here is the latest collection of ladies best & latest summer nail art designs. Have a look on them and choose the perfect one for yourself. I hope you will love them. Nail color in tie-dye always looks pretty and elegant. Having colored wavy patterns over the base color always look nice and cool as the summer breeze. 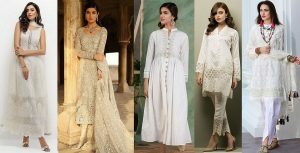 Trying new soft and light colors would be a perfect choice matching with the dress you are wearing. Neat and a funky amalgam of red with green in melon design have always been tempting for girls. 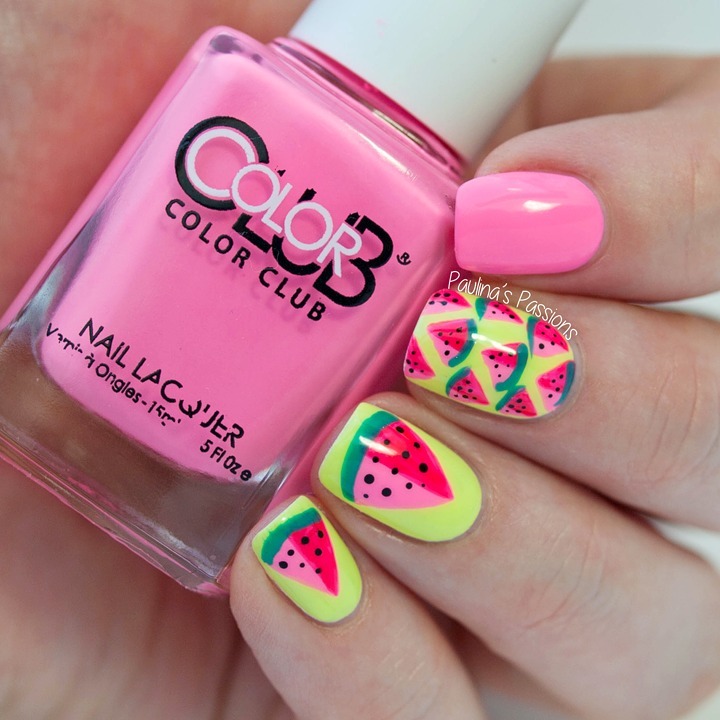 Especially for summers, trying cool melon look on your nails always proves as a stunner. 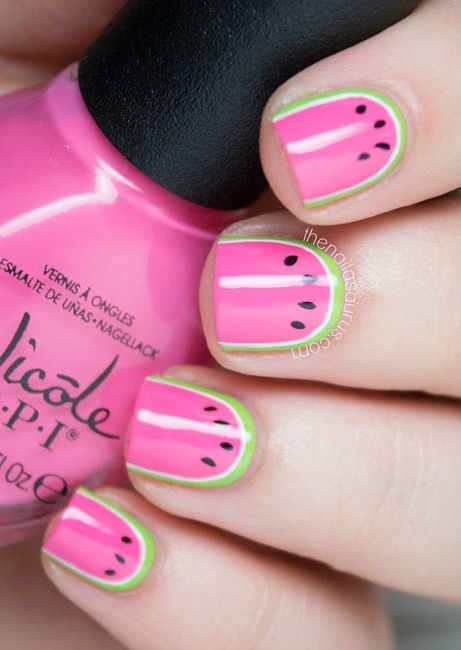 Whether you are wearing anything casual or wearing a summer tank top, having a melon treat on your nails will be perfect. 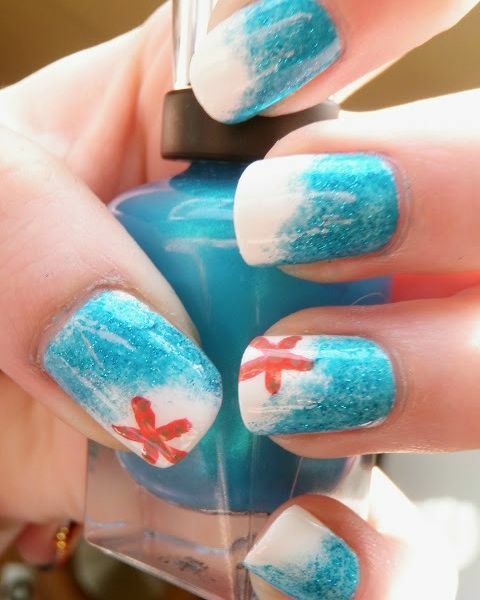 Summer always reminds you of cool beach breeze on a sunny day, so this summer you can try palm tree nail’s art for your hands. Different colors like bottle green, black, yellow, orange and purple can be used. 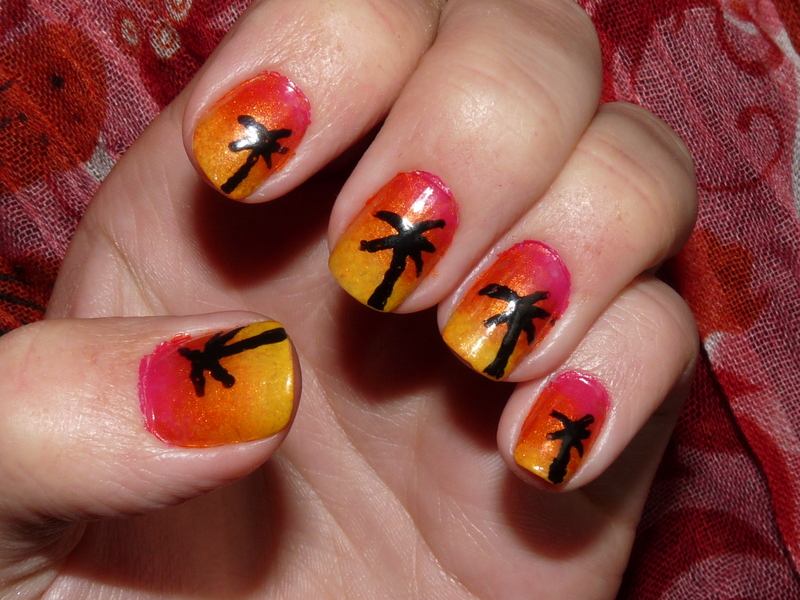 Either you can paint these palm tree designs on each nail’s of your hand or you can keep it on one middle finger nails and rest of the nails can be given plain nail paint in contrasting colors. 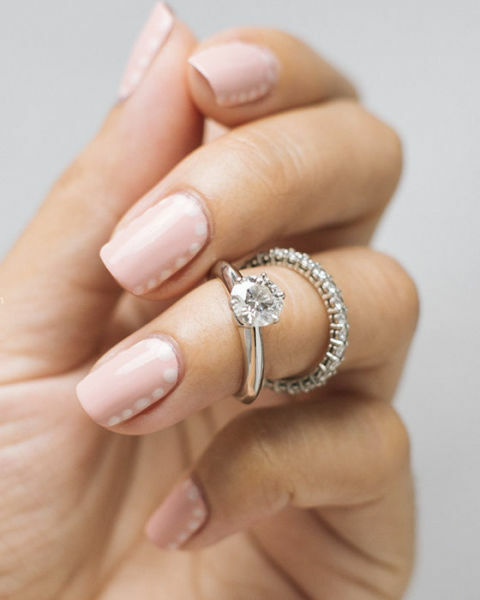 This form of nail art has always been popular due to the elegance it has. It looks simple yet stylish. 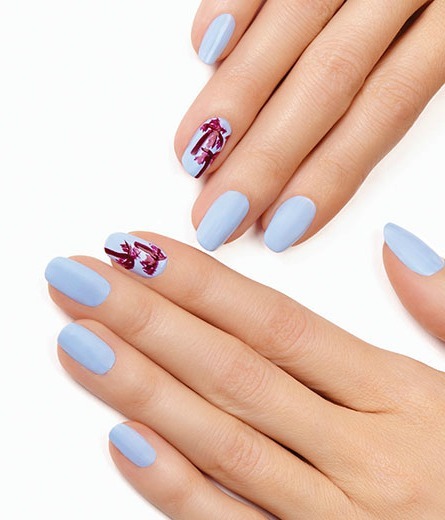 With any shade of color, this nail’s art looks equally appealing. Either apply these in polka style or use them around the corners of your nail. But keep in mind you need to select the contrasting set of colors for this. Rainbow is as fascinating as any other sight. What about giving your nails this sight of beauty. Use multi-colors in either vertical or horizontal lines or even in diagonals. Use fresh and bright colors. Sparkle red, orange, green, blue and purple. Sparkly Starfish is also amazing for summers. Keep it blue and shiny. Add sparkle to a use of glitters. Draw a tiny starfish in red or any other contrasting pairs of colors. 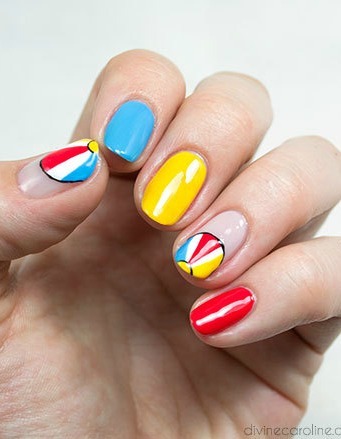 Use funky colors to draw cool beach ball on the tips. It is nail’s art that always looks something unique and distinctive. Multiple strips and nautical hall moon mark is also something new. This summer try this attractive design a try, and you will love to carry with any outfit you wear. This art is the mixture of an entirely fresh range of colors, use citrus colors and citrus shapes using your paints. 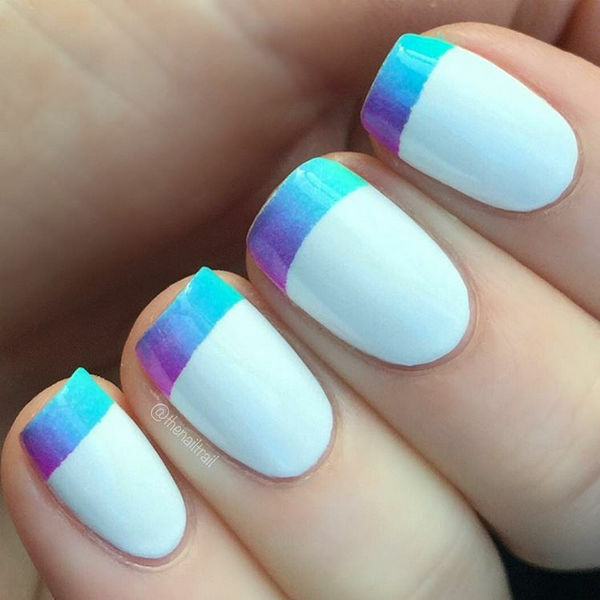 Ombre of various colors is always a perfect choice for refreshing & latest summer nail art. 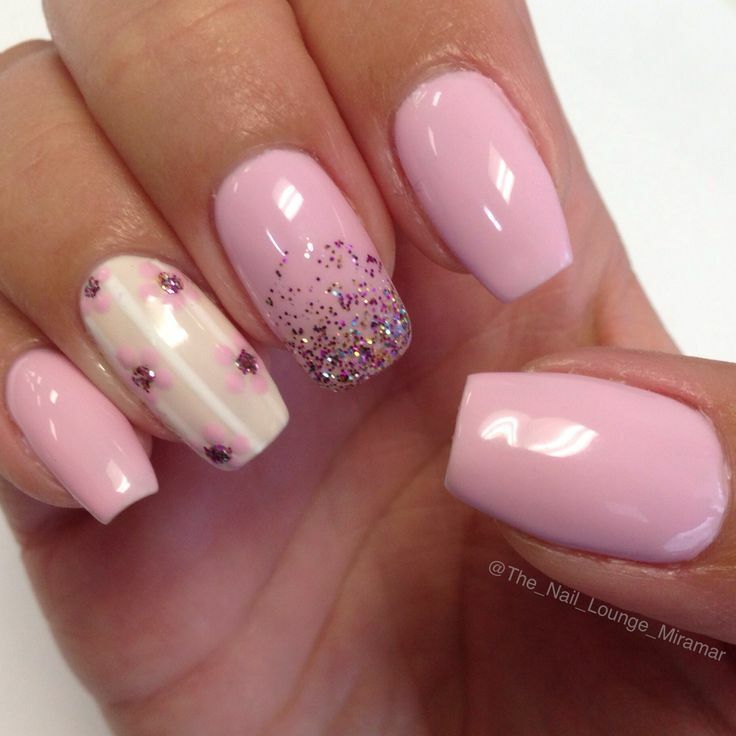 Be it pink or purple or metallic shades around the corner of the nails. Try to give the darker shades around the tips moving down to the lighter shades to the top.